Celebrate Urban Improv’s 20th anniversary and laugh at Boston’s best known personalities as they put themselves in hilarious situations on stage – all for a good cause – at Banned in Boston. Since 1992, Urban Improv has provided its nationally acclaimed violence prevention and youth development workshops to thousands of Boston Public School students free of charge. 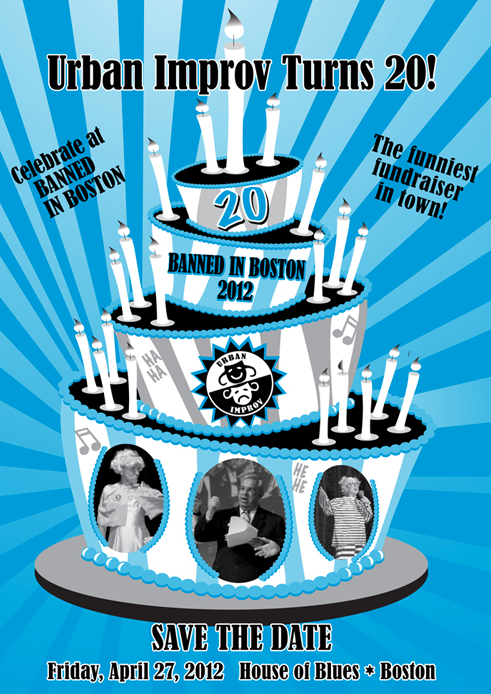 The 2012 Banned in Boston line-up includes favorites like Aerosmith rocker, Tom Hamilton; Governor and Mrs. Deval Patrick; Attorney General, Martha Coakley; Boston Mayor, Tom Menino; Pulitzer Prize winning author and presidential historian, Doris Kearns Goodwin and many more who will rally together to put on a show of hilarity, musical satire, and skits. This year’s revue is being written by award-winning playwright and actor John Kuntz, who is sure to have a few surprises up his sleeve. Banned in Boston will take place on Friday, April 27. A pre-show soiree will kick-off at the Lansdowne Pub at 6 p.m., after which guests will saunter next door to the House of Blues for the laugh-out-loud musical revue. 0 Response to "Charity: 2012 Banned in Boston - 4/27"
Contest: Finale's "A Moment for Mom"